New Patient Internet Specials Available! 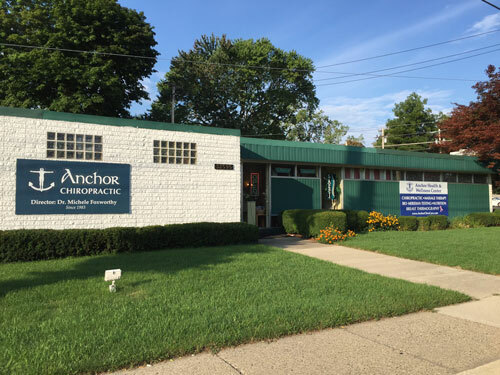 We welcome you to the official website for Anchor Health & Wellness, the trusted provider of chiropractic and other conservative care services for Farmington, Farmington Hills, and surrounding areas. Whether you're struggling with an acute injury, trying to manage a chronic pain condition without drugs, or simply seeking a comprehensive source of safe, effective wellness care for your family -- you've come to the right place. Under the leadership of our chiropractor in Farmington, Dr. Michele Foxworthy, our team provides a variety of diagnostics, treatments and ongoing advice to help you enjoy a whole new level of well-being. 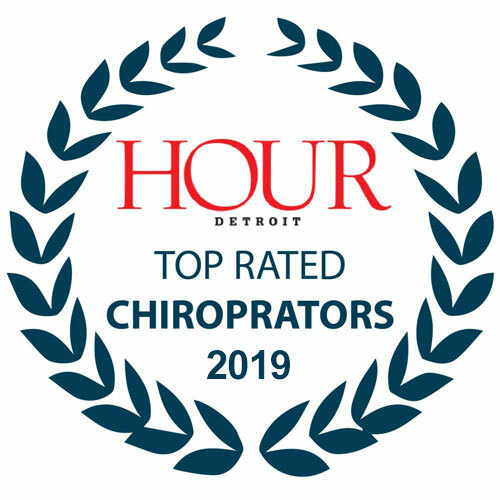 Dr. Foxworthy enjoys a reputation as the area's leading female chiropractor, with more than 3 decades as a practitioner serving Farmington and Farmington Hills. Our Farmington chiropractor not only takes a holistic or "whole body" approach to your health; she also works closely with you to help you learn how to support your own health and wellness in daily life. Chiropractic care can correct misalignments that cause joint dysfunction, pain, stiffness and neurological problems. Dr. Foxworthy provides Diversified, Cox, Palmer, drop table, upper cervical and instrument-based chiropractic techniques, as well as non-surgical spinal decompression therapy. We even offer pregnancy chiropractic for prenatal symptom relief. Our massage therapists can relieve soft tissue pain and muscle spasms, prepare your body for chiropractic sessions and help your recover more quickly from injuries. This infrared imaging technology can help assess your risk of developing breast cancer. Learn more about the breast thermography services offered by Dr. Foxworthy. Good nutrition is one of the keys to good health. By eating right and maintaining a healthy diet, you can help your body stay fit, boost your immune system and fight off illnesses. At Anchor Health and Wellness Center, we counsel our patients about healthy eating habits and maintaining a nutritious diet to prevent illnesses and improve overall wellness. Children can benefit tremendously from our safe, gentle techniques to optimize their physical function and development. We can also perform regular scoliosis screenings and back-to-school checkups. We can diagnose and treat auto accident injuries, personal injuries, sports injuries and workplace injuries. Let us devise a personalized injury recovery plan for you! Regular chiropractic evaluations can keep your spine in line, your nervous system functioning properly and your entire body working better. We can also provide ongoing nutritional counseling, weight management techniques, and lifestyle advice. Our orthotic footwear can correct support or alignment problems in the feet that can cause chronic joint pain or plantar fasciitis. Come Visit Our Chiropractor in Farmington! While we hope you'll examine our website in detail, the best way to learn about Anchor Health & Wellness is by visiting us in person, meeting the team and experiencing the benefits of our techniques first hand. Call 248-471-1250 to schedule an initial consultation with our chiropractor in Farmington! "My entire family has been going to Anchor for years n years. She is fantastic! We started going when all my boys were just toddlers. She is so great with all ages. And we always receive top notch care. We will never go elsewhere." "I’ve been seeing Dr. Foxworthy for about 4 years now and she is amazing! I always come out feeling 100x better than when I went in." 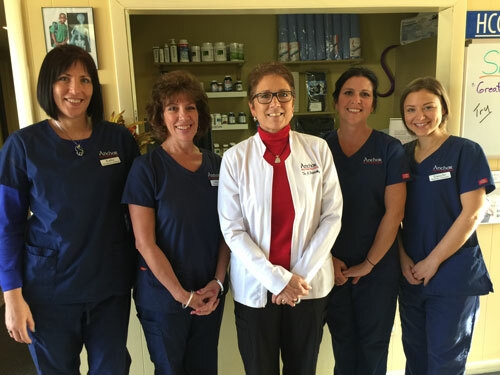 "Dr. Michelle and her staff are always friendly and ready to see me. I also like that I can get professional massages at the same location. It doesnt matter when I call - they are ready to assist with the next available appointment time. Great service and relief when needed!"